In 1998, the Kīlauea Point Natural History Association endowed a scholarship in the memory of a close friend of the organization, Dan Moriarty, an outstanding environmental educator and conservationist. This endowment was matched with contributions from his family, friends in the community, and profits from the KPNHA Nature Store. To honor Dan, scholarships of up to $3,000 are awarded annually to college students in the broadly defined fields of botany, zoology, history and related subjects concerning the Hawaiian environment. Dan Moriarty managed the Kīlauea Point National Wildlife Refuge from 1979 to 1990, and his tireless efforts in restoring native vegetation and protecting seabirds were largely responsible for transforming the former lighthouse grounds and surrounding cliffs into one of the premier wildlife refuges in the world. He also spearheaded the successful drive to acquire Nīhoku (Crater Hill) and Mōkōlea to make them part of the Refuge. Dan initiated the formation of the Kīlauea Point Natural History Association and worked closely with it. He is also responsible for building the volunteer program at the Refuge, which has since grown to over 100 volunteers who carry out a variety of tasks within the refuge. Friends recall that he was largely responsible for reestablishing Laysan albatross populations on Kaua‘i by fencing the wildlife refuge to protect the ground-nesting birds from predators. The large seabirds had been long gone from Kaua‘i when a few mysteriously reappeared in 1976, the same year Dan began working part-time for the U.S. Fish and Wildlife Service at Kīlauea. Under Dan's management, the Kīlauea Point Refuge, which is home to the largest colony of seabirds in the major Hawaiian Islands, became one of the most popular visitor destinations on Kaua‘i. Dan had a passion for uprooting invasive introduced plants and replacing them with native Hawaiian species. His friends still grin when they remember the look of fierce joy that would come into his eyes as he tore into alien ironwood trees with his favorite chainsaw. He would also constantly stoop to pull alien weeds from the ground, and insist that whoever was with him at the moment, do the same. 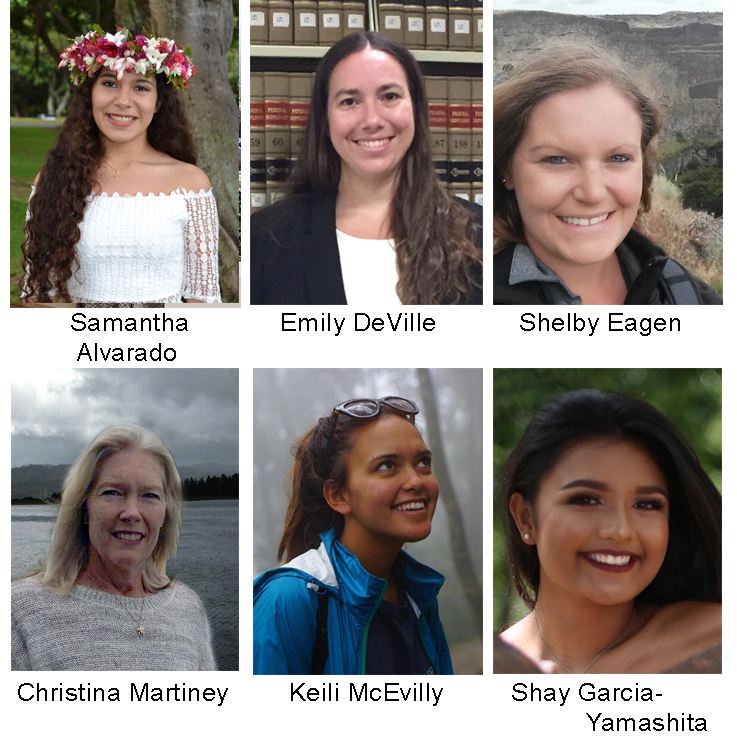 The Kīlauea Point Natural History Association annually awards scholarships up to $3,000 each, which are applied directly to college or university expenses. To foster a greater awareness and protection of native Hawaiian ecosystems by supporting the college education of students from Hawai‘i studying in associated fields, with the hope that they will return to Kaua‘i and further the cause of environmental conservation. To help support the community of Kaua‘i through direct financial assistance of student college education expenses. To honor Dan Moriarty, who was a manager of the Kīlauea Point National Wildlife Refuge, an outstanding environmental educator, and conservationist. The student must have been a resident of Hawai‘i within the last five years. Been accepted or enrolled in a four-year college or university. Field of Study: In the broadly defined fields of botany, zoology, history and related subjects concerning the Hawaiian environment (wildlife management, interpretation, conservation and environmental education are included). Maintained a grade point average of 3.0 or better. Student is from Kaua‘i (not a requirement). An upperclassmen (college junior or senior), although both lowerclassmen, graduate students and high school seniors applications will be accepted. Has demonstrated community service in environmental projects, such as volunteer or internship programs. Is actively participating in environmental clubs or organizations.